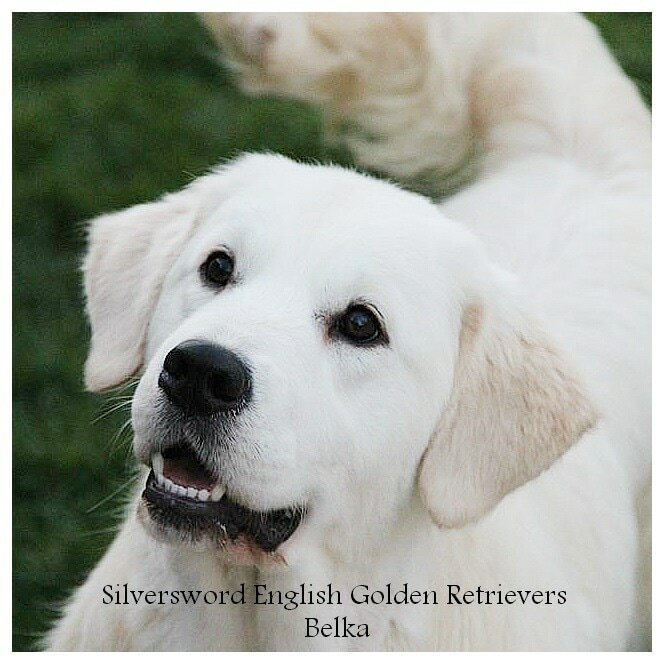 Belka had 3 puppies on January 5, 2019, with Colt. 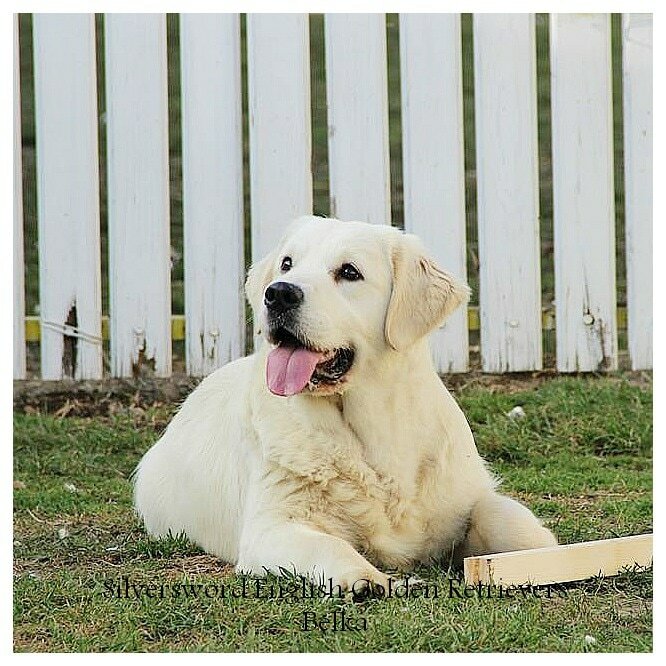 This is a highly unique pairing as both dogs are originally from Europe with Colt coming from Hungary and Belka from Serbia. Both are champions and have incredibly sweet personalities. ​They should produce some stunning puppies! Male Puppies 1) Michael L.
Female Puppies 1) Terri D.
Jasper loves people and is doing great with his conditioning. All of the puppies love the yogurt and are very comfortable with the activities. Onyx is our explorer. He likes to figure things out--he will get very focused. He is very gentle and loving. Ruby loves to play with Jasper--they actually play rough together and enjoy it. She is very sweet with us and loves being held and petted. My computer program is still down so I am writing in the differences between the puppies. All of the puppies are very friendly and love to be held. However, Onyx did not come or follow because he was more interested in exploring the testing room (not where he normally gets to explore). All of the puppies had the typical response to being held - very relaxed with no struggle. This was true in any of the positions tested (upright, on back, by my side). Jasper and Onyx both retrieved and Ruby tried to, but didn't open her mouth, so she couldn't get the object to bring it back. Ruby was the most sensitive to being pinched between the toes (2-4 seconds), then Jasper (5-6 seconds) and Onyx did not respond at all. We do condition for this, so all of the responses are very slight. Both Jasper and Onyx came to the sound and Ruby located it but did not investigate. None of the puppies were startled and both Jasper and Ruby followed the towel. Onyx went to explore other things in the room instead. Finally, all the puppies have correct form. They are all large, well shaped, have great coats and are beautiful. Jasper is a very well balanced puppy. He enjoys being with us and also loves to play. He is very comfortable with people and will follow us all around. Onyx continues to explore. He loves to learn and seems like a very intelligent, independent puppy. He is very confident. He enjoys being held but is very comfortable away from people too. Ruby is playful and loving. She enjoys romping with her brothers and also loves to cuddle with us. She is a very sweet puppy. Jasper loves to play with his siblings. They are also playing with their toys more at this stage. Their curiosity level has really spiked and they are into everything! Onyx has always been an explorer. He has such a natural curiosity! When he discovers something new he will focus on it for a very long time! Ruby loves exploring and playing with her brothers. She is the quickest to miss one when they are gone for a bath or training. She is beginning to play with toys, but she still prefers to romp with her brothers. Jasper is a sweetheart that enjoys being held and petted. He likes to explore and is getting more active, though he is still relaxed. Onyx continues to love exploring. He enjoys learning and discovering so he will probably be very intelligent. He also loves to be held and cuddled. Ruby is a sweetie pie who enjoys being with us. She loves her mother and will cuddle with her. She is smart and well balanced in her personality. Belka's litter continues to grow. They love to snuggle with each other, as well as jump and play. They are all very sweet and love to be petted and snuggled. Jasper loves to explore. He has also discovered the toys we have set out for them, and he loves to chew and pounce on them! Onyx is so far the most adventurous of his litter. He loves to sit in his food bowl ,and it shows! He is the heaviest, ha, ha! Unfortunately, it has stained his underside. It will take a while to get rid of the stain, I'm afraid! He continues to love to explore. Ruby loves to explore and is very inquisitive. I captured that trait perfectly in video number 1. I'm not sure why my foot was so interesting, but she was mesmerized! All of these puppies are huge! Belka is nursing them like she has ten puppies! Normally the puppies are eating a lot of solid food by this time and while they do eat solid food, it is mostly just a nibble here and there because they don't have any room. They are also some of the most beautiful puppies I have had. They have full, rich coats that will probable be wavy like Colt's and they look to have very wide chests too. Jasper is our explorer. He likes to learn about everything around him. He is very funny. Onyx is relaxed and sweet. He likes being held and is very friendly. Ruby is a sweetheart who enjoys being held. She is relaxed and friendly. Belka's puppies are roly-poly little fluffballs right now! One puppy continues to explore on his own, while the other two love to snuggle with mommy. Their coats are full and they love to be pet and massaged. Their eyes are not yet open, but we expect to see them anytime now. 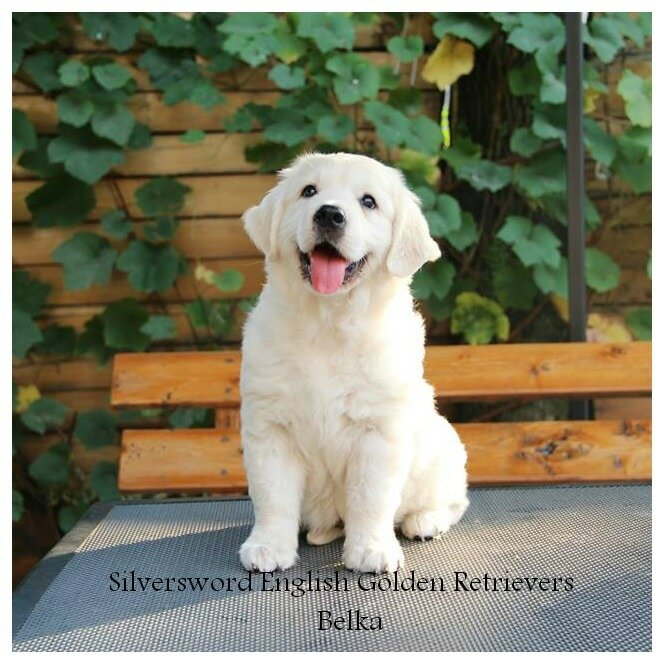 Belka's puppies continue to grow really fast. They are large and content. They are in the midst of their neurological stimulation and seem to be fairly relaxed. They are beginning to crawl around--one puppy loves to wander all over the place. They have good frames, their coats seem to be the type that will become wavy, and they are looking beautiful. Belka had 10 puppies last time and they all did well so she has a lot of milk. These puppies are obviously well nursed and content. They already have times where they are milk drunk (so full that they just lay and sleep). It is so cute when they are pudgy and content! Dew claws have been removed and neurological stimulation has been begun. All the puppies have been very relaxed (though that may be because they are under the influence of milk). Puppies were born yesterday, between 12:00 and 4:00 p.m. I did not post because I kept expecting more puppies. Instead, Belka had 3 large, healthy puppies. Both mother and puppies are doing great. They were the fastest puppies I have ever had at figuring out nursing. Normally, I will take some time with each puppy to make sure they nurse the first day. These puppies were nursing almost immediately. They are pink and wrinkly--so they still have some room to fill out!